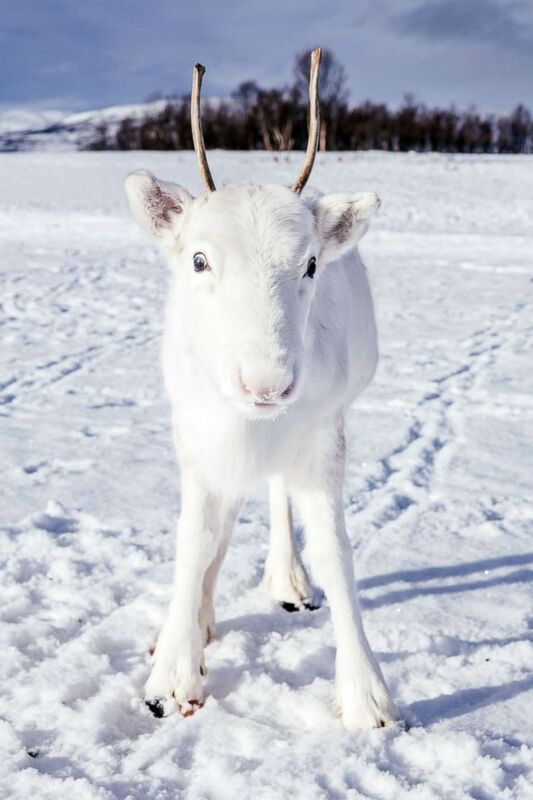 The photographer came across the reindeer calf while hiking with friends. 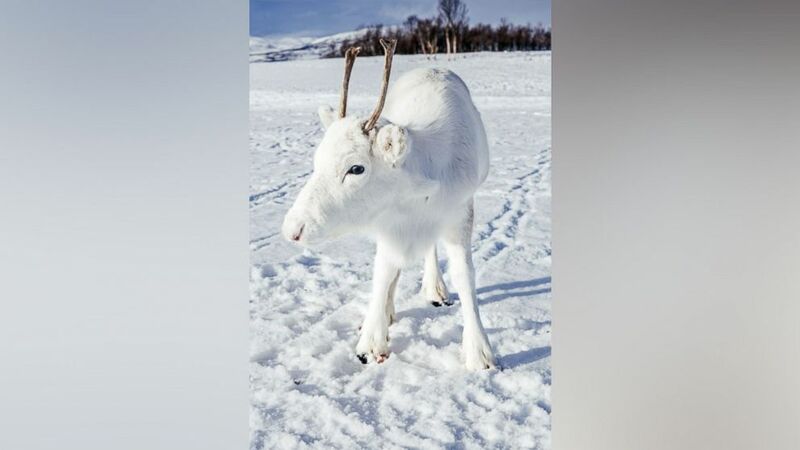 A collection of stunning photographs of a white reindeer in the snow has gone viral after a photographer captured the rare sighting while on a hiking trip in Norway. (Mads Nordsveen/Caters News) Photographer Mads Nordsveen was hiking in Northern Norway when he encountered a baby white reindeer, Dec. 3, 2018.